paneer 65 recipe | paneer fry recipe | how to make hotel style paneer 65 with detailed photo and video recipe. 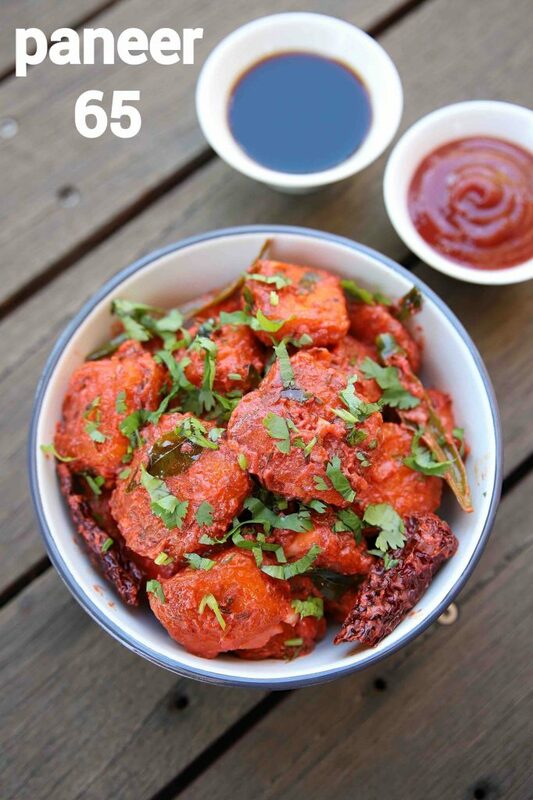 a spicy and lip-smacking snack recipe made with deep fried paneer fritters tossed in spicy curry sauce. it is an ideal appetiser or a starter recipe which can also be served as a side dish to fried rice recipes. it is simple and easy to make which can be extended to other vegetable-based fritters like gobi and mushroom. paneer 65 recipe | paneer fry recipe | how to make hotel style paneer 65 with step by step photo and video recipe. indian street food recipes are known for its myriad spice flavour it has to offer. basically, the street food recipes are quick, tasty and affordable in terms of price and access. 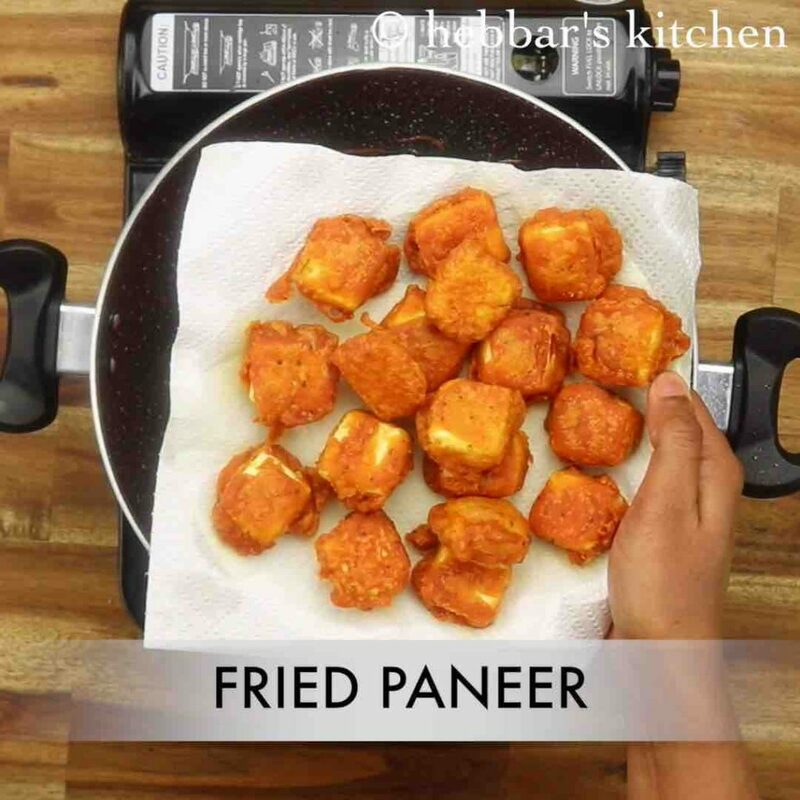 one such easy and the simple recipe made with paneer fritters is paneer fry or paneer 65 recipe. the recipe of indian 65 recipes are unique and perhaps a fusion of indian street food with chinese sauces and ingredients. this recipe has to offer spice flavour with each bite plus the strong flavour of chilli and tomato sauce. as matter of fact, i have skipped adding vinegar to this recipe and for sourness, i have added thick yoghurt or curd. 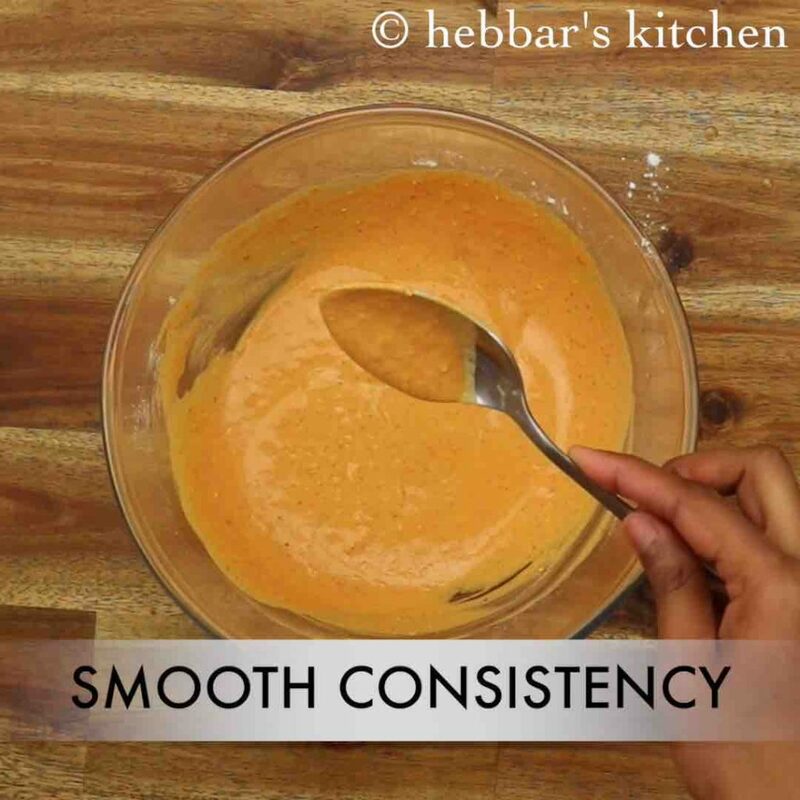 the curd is directly added to the fritter batter and also added while sauce is made. 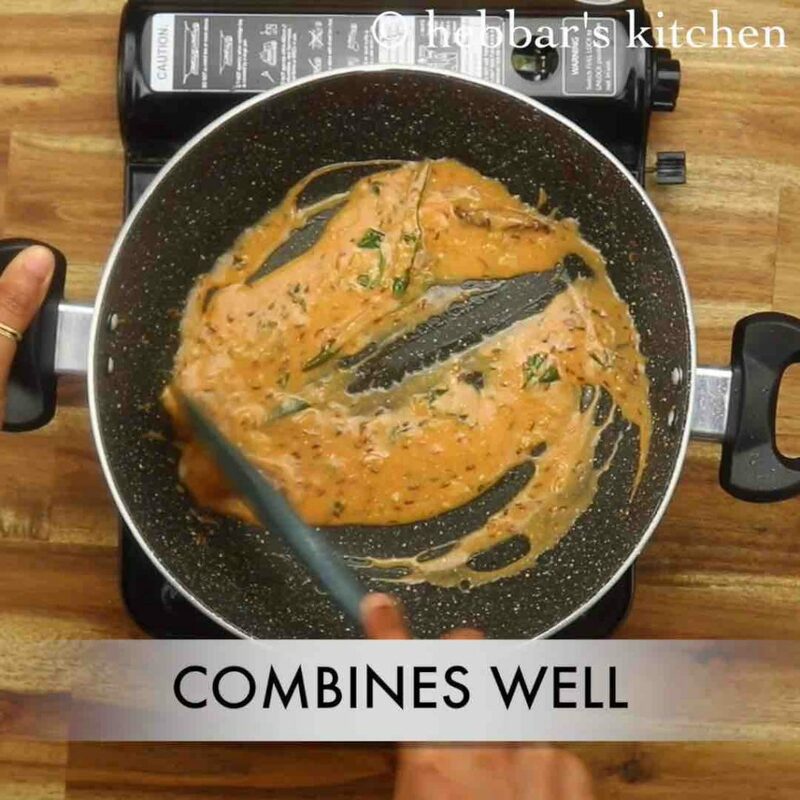 basically, i have mixed curd and indian dry spices with red food colour to make a thick sauce which is then used to toss the deep fried paneer cubes. 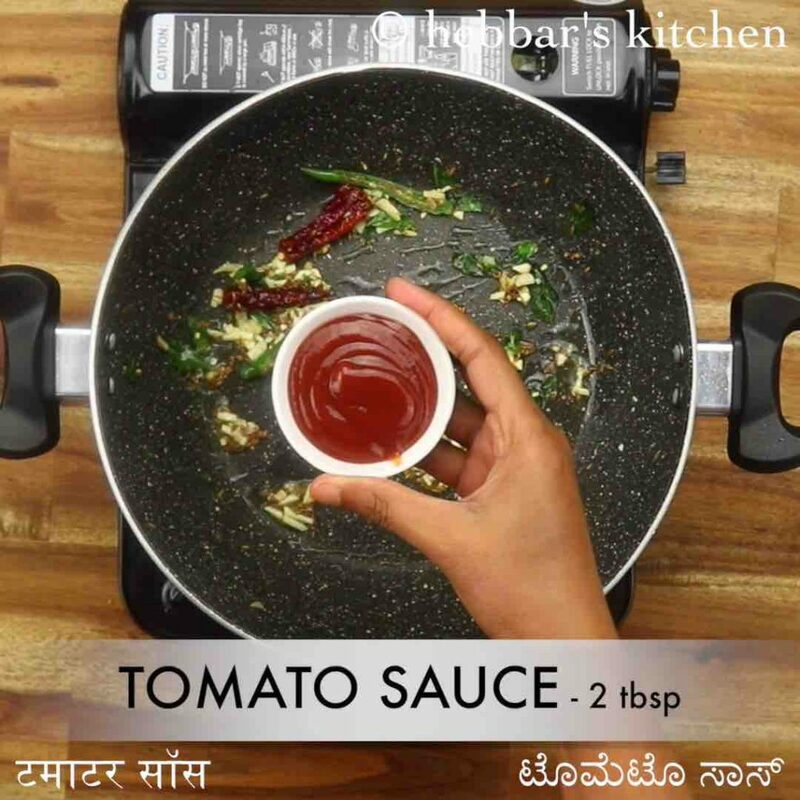 adding this sauce makes it unique compared to other indian or indo chinese recipes. furthermore, some easy and important tips and suggestions for a perfect spicy paneer 65 recipe. firstly, i have used fresh homemade paneer cubes for this recipe which is essential for this recipe. if you are in a hurry, you can use store bought paneer, but make sure it is fresh and firm in shape. 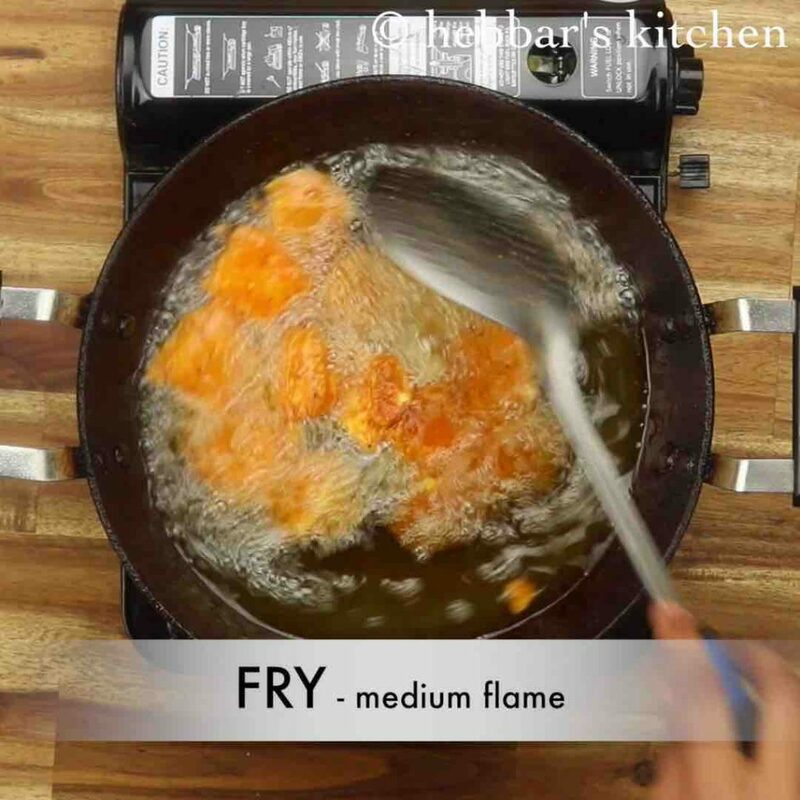 secondly, deep fry these paneer cubes in low to medium flame and do not rush with a high flame. 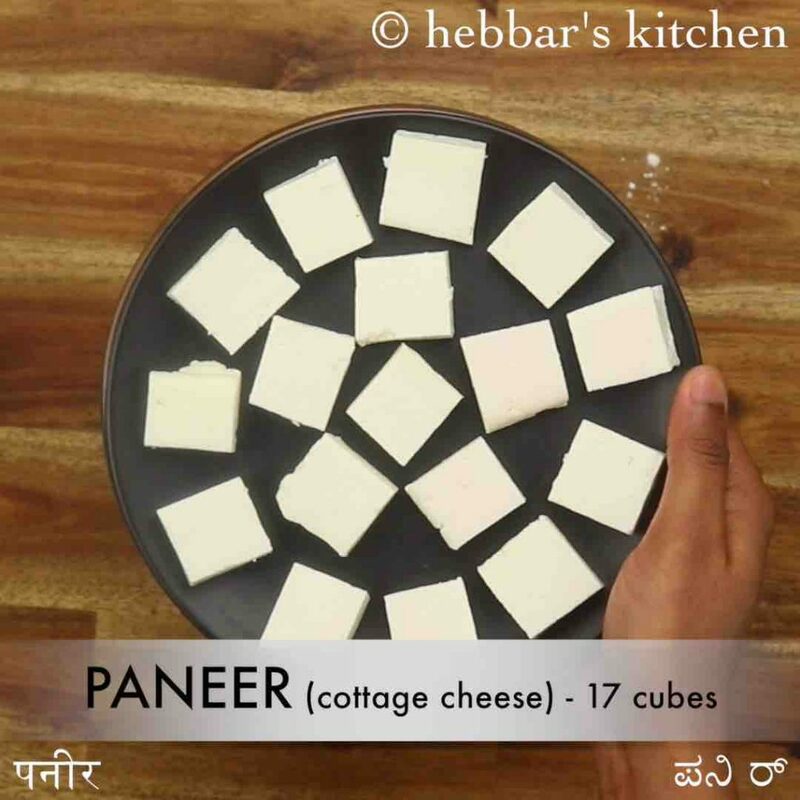 the paneer cubes have to be evenly cooked in medium flame. lastly, i have added red food colour to make it appealing and attractive. you can skip it if you do not wish to add it. 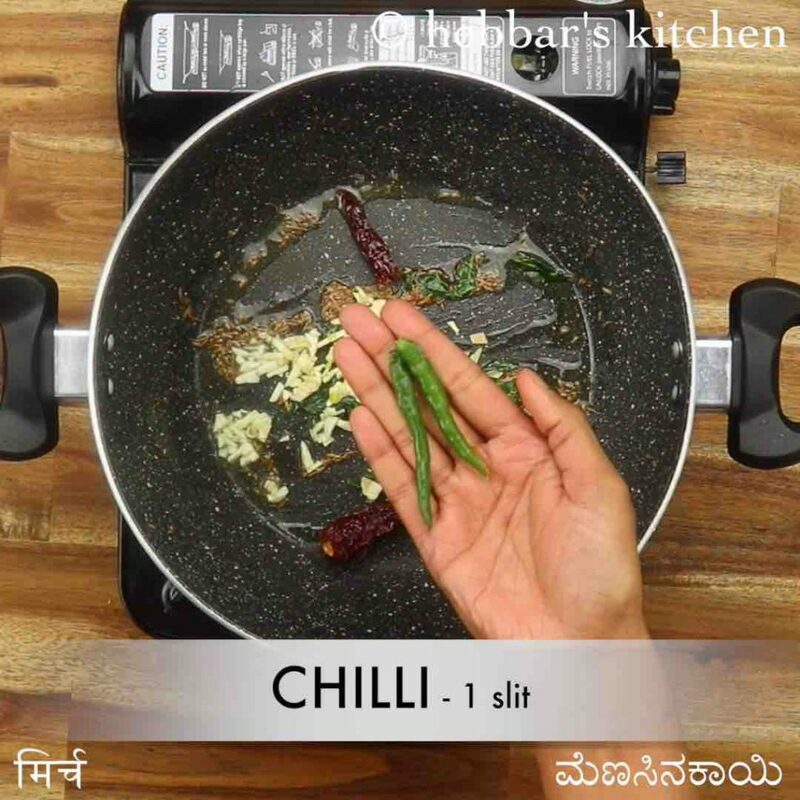 in a large kadai heat 3 tsp oil and saute 1 tsp cumin, 1 dried red chilli and few curry leaves. further add 3 clove garlic, 1 inch ginger and 1 chilli. saute on high flame. additionally add 2 tbsp tomato sauce, 1 tsp chilli sauce and ¼ tsp salt. stir fry on high flame. keeping the flame on low add 2 tbsp water and 2 tbsp curd. 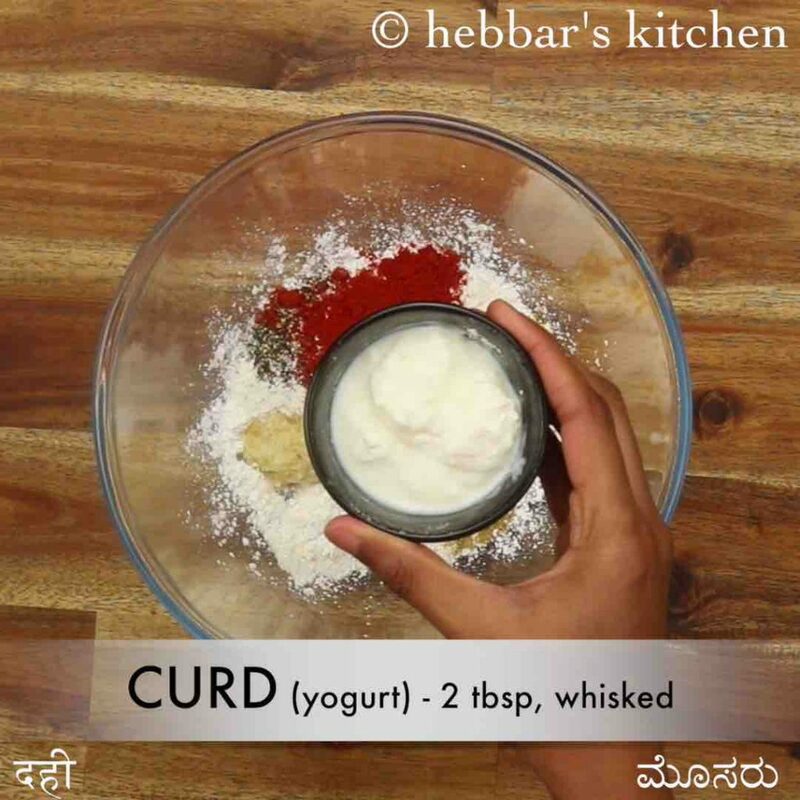 mix well until the curd combines well. 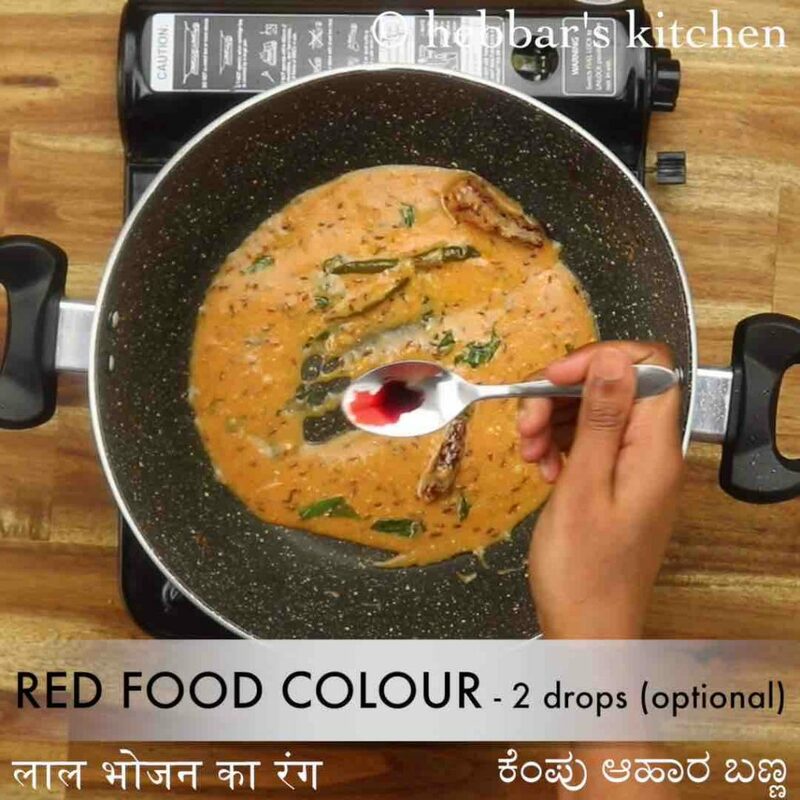 optionally add 2 drops food colour for bright red colour and mix well. now add in fried paneer and give a good mix. finally, garnish paneer 65 with chopped coriander leaves and enjoy. 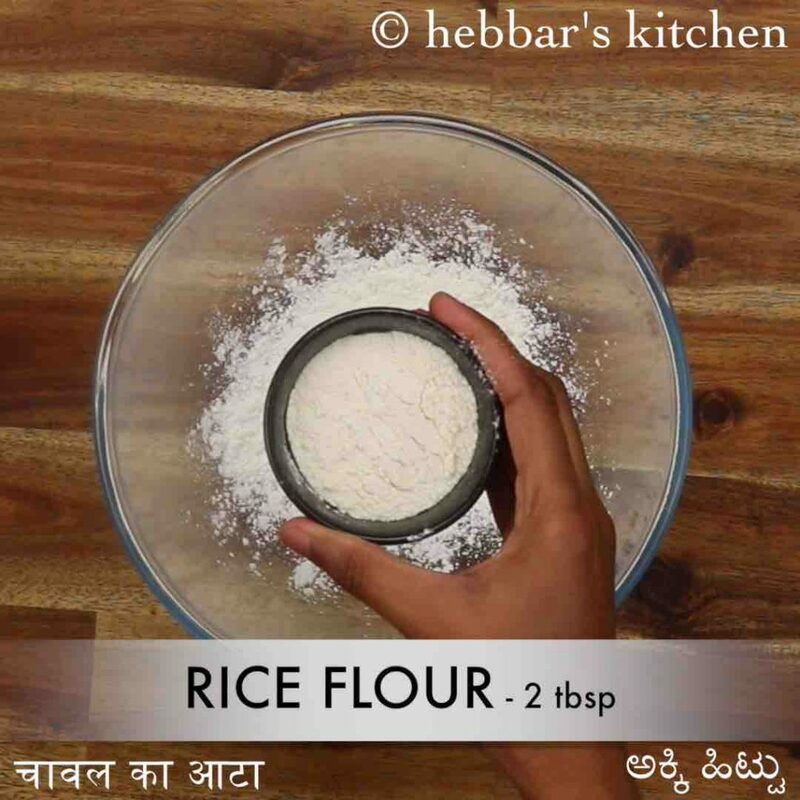 firstly, in a large bowl take ¼ cup cornflour and 2 tbsp rice flour. 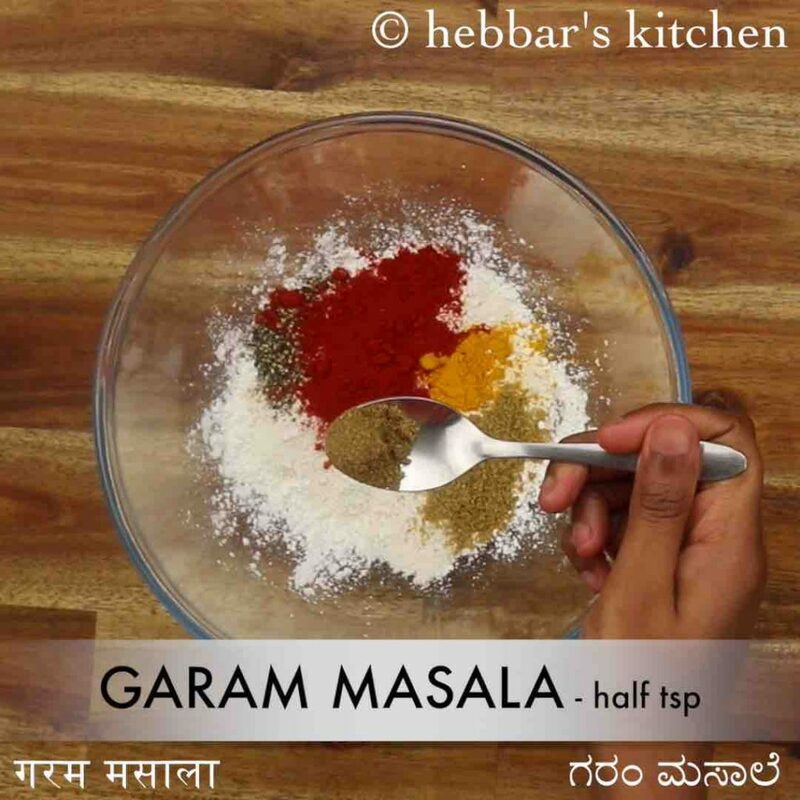 also add ½ tsp pepper, 1 tsp chilli powder, ¼ tsp turmeric, ½ tsp coriander powder and ½ tsp garam masala. additionally add ½ tsp ginger garlic paste, 2 tbsp curd / yogurt, 1 tsp lemon juice and ½ tsp salt. prepare a smooth lump free batter by adding ¼ cup water. furthermore, add in paneer cubes and coat well. deep fry in hot oil or preheat and bake at 180 degree celcius for 30 minutes. stir occasionally and fry until the paneer turns golden and crisp. 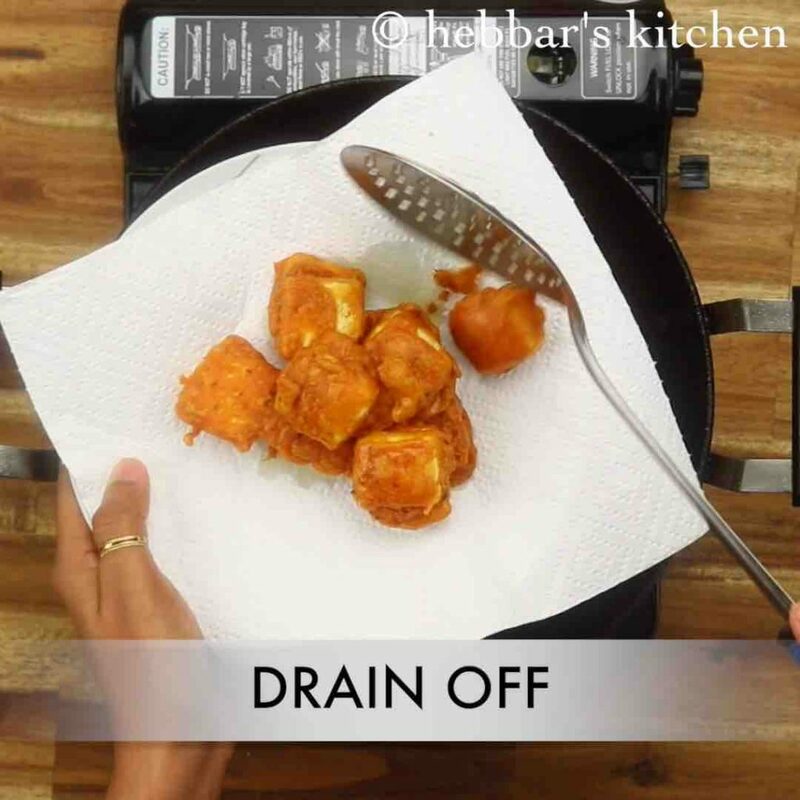 finally, drain off the fried paneer over a kitchen towel to remove excess oil. keep aside. 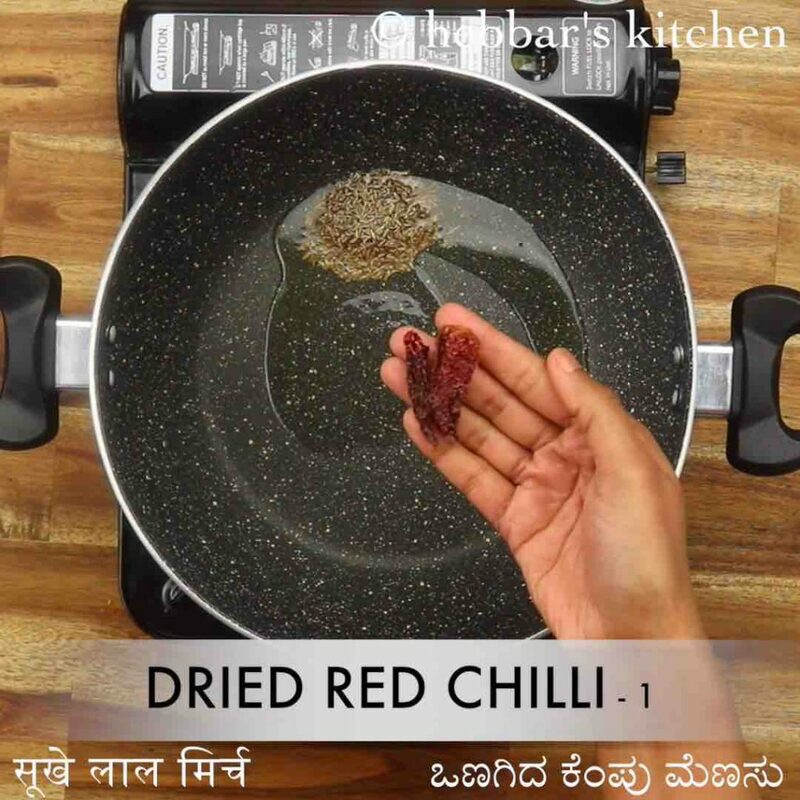 now in a large kadai heat 3 tsp oil and saute 1 tsp cumin, 1 dried red chilli and few curry leaves. 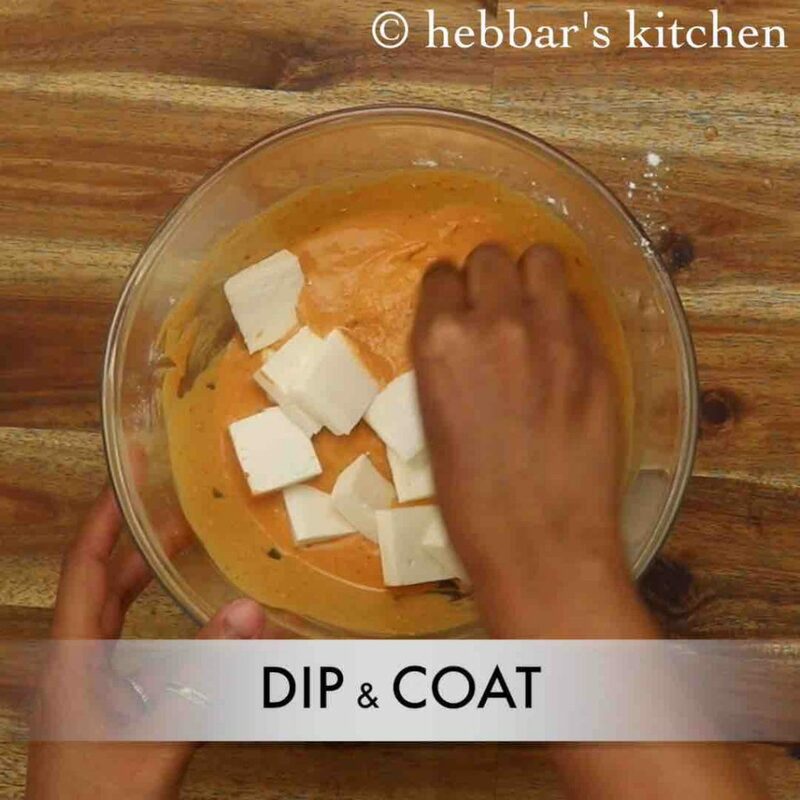 firstly, make sure to whisk the curd well before adding, else the curd may curdle. also, adding red food colour is completely optional. however, it makes paneer 65 look more attractive. 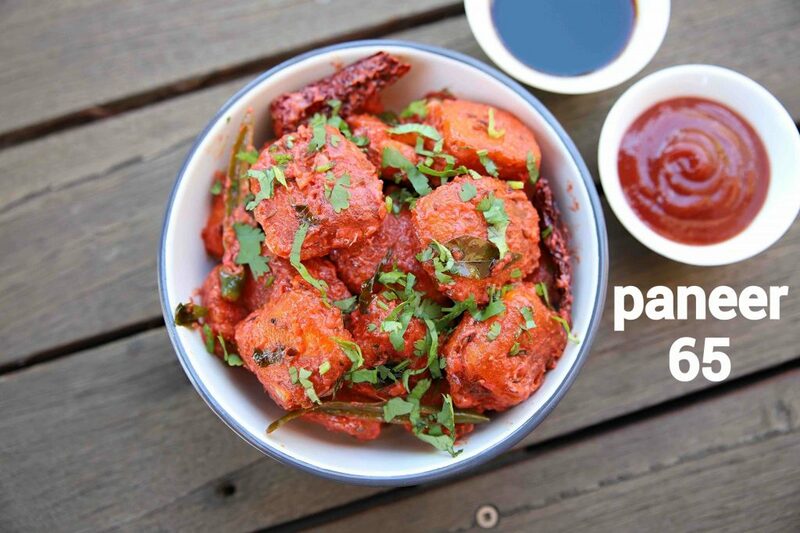 additionally, fry the paneer before and in hand and prepare the sauce just before serving. 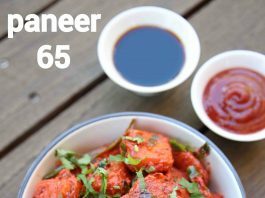 finally, paneer 65 recipe tastes great when prepared slightly spicy and tangy.